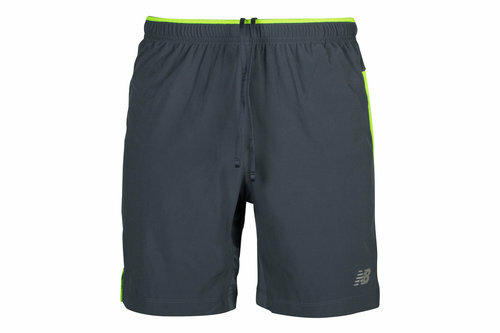 Let the performance do the talking in these Impact Training Shorts in a Grey and Green design from New Balance. These men's training shorts from New Balance are made from 100% polyester and feature their moisture management which wicks sweat away from the wearer's skin, leaving them dry and comfortable. Held in place by an elasticated waistline and secured by a drawstring, a mesh gusset has been included for increased breathability. Designed in grey, train to new levels in these New Balance Impact Training Shorts.